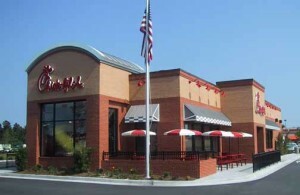 Homosexual advocates are expressing outrage after the president of the fast food chain Chick-fil-A once again expressed his disapproval of homosexual marriage, this time remarking on Wednesday’s Supreme Court ruling that struck down key parts of the Defense of Marriage Act (DOMA). 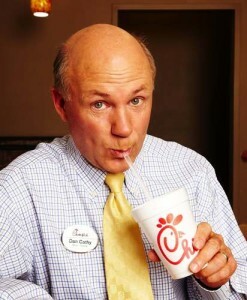 Following the release of the decision, Dan Cathy posted comments on Twitter, mourning the outcome of the decision. “Dan Cathy may be ashamed of our generation, but I am ashamed of him, of Chick-fil-A, and all who tolerate hate,” wrote another simply identified as David. “Your sandwiches taste like homophobia,” a third blasted. However, others who learned of Cathy’s statement offered words of support. Yet, there were also others who expressed disappointment that Cathy had deleted his post. The company later released a statement explaining the reason for the deletion. According to the Washington Post, Cathy had also stated on a radio broadcast last June that he believed that the promotion of homosexual “marriage” was evoking the wrath of God upon America.